As the biggest freelance platform around, with around three million jobs posted per year, for which 12 million registered freelancers compete, Upwork provides a myriad of opportunities for a freelancer to find exciting and well-paid projects and earn money. Sounds like a pretty cushy deal, doesn’t it? In fact, you would never do something that could jeopardize this, right? Well, we are all human, after all, and as such make mistakes. Some of those mistakes can lead to an Upwork suspension. What does an Upwork suspension mean, how can you avoid getting one, what can lead to it and finally, how to get “unsuspended”? These are just some of the questions I want to tackle in this post and, hopefully, help anyone with this problem. And trust me, for a freelancer, this is a problem. Why Does an Upwork Suspension Happen? You have to know them to beat them. The best way to deal with an Upwork suspension is to avoid it happening altogether. That means, you should know what violations Upwork sees as grounds for suspensions and account holds. Knowing what these are will, of course, help you to stay clear of them and keep your reputation on Upwork intact. Always provide accurate information about yourself. Clients trust freelancers with important information regarding their businesses and if they are unable to positively verify who you are, you might be seen as a candidate for an account hold. Take a good look at your profile on the platform. Do you have a clear photo of yourself? This is a good way for clients to know who they are working with and it will be easier for them to trust you, rather than someone with one of those default silhouettes. Whether you are using Upwork to find work as a freelancer or to hire contractors as a client, you should always use the same login information. Your account is your own. Allowing someone else to use it will lead to an Upwork suspension. Even if you no longer intend to use that account, don’t just give it to someone else. If you really want to help them start freelancing, sit with them and help them create a good Upwork profile and bid on a few job offers. All correspondence between Upwork freelancers and clients should be done on the platform itself. Don’t share your email, Skype username, phone number or any other contact information on your Upwork profile. Also, if a potential client asks for any of these, decline to give them and tell them that you only work through Upwork with new clients. Upwork has two payment systems – fixed and hourly – and would very much like you to use them. Mostly because they have a vested interest (they take a 20% cut from your payment), but also because they are genuinely looking to protect freelancers as much as possible from situations where a client might decide not to pay them. What’s really important to pay attention here as a freelancer is whether the client’s profile is verified or not. Look for the green check mark, If it’s not gray, that means Upwork can’t guarantee that this client will pay you for your work. A good feedback is the foundation upon which your freelance success is based on Upwork. But it has to be earned and the client has to believe they have a good reason to give you one. You should not try to pressure clients into giving you a positive feedback by withholding work or in any other way. This is a serious offense and a huge reason for an Upwork suspension. Instead, provide quality work and politely ask clients to give you a feedback if they are satisfied with your services. How to Avoid an Upwork Suspension? Upwork is very clear on what it does and what it doesn’t allow. The best way to prevent an Upwork suspension is to altogether avoid doing any of the things I mentioned above. Read Upwork’s Terms of Service and Freelance Violations and you’ll know what not to do. Most of these violations are pretty clear or at least should be. However, freelancers, especially those new to Upwork, do make mistakes (whether by misinterpreting them or by thinking they don’t apply to them), which then leads to a very sudden and for a freelancer, very painful Upwork suspension. So, if you are new to Upwork, don’t play around and do things by-the-rules to avoid an account hold. Upwork can be pretty unforgiving and doesn’t really distinguish between those who violate its terms knowingly and those who do it unknowingly. If, for whatever reason, you do get an Upwork suspension, and you think it was a wrong decision by Upwork, try presenting your case in the Upwork Community. Although generally Upwork has a strict policy of permanently disabling violating accounts, there’s still a chance (as small as it is) that they might reinstate yours. If not, that’s that and you should try some other freelance website. So yes, the best way to avoid an Upwork suspension is to follow the rules of the site. Have you had an experience like this yourself? How did you deal with an Upwork suspension? Let everyone know in the comments below and then share the post on Facebook, Twitter, LinkedIn and Google + to let others know what to do. Hi Vladmir. I encourage you to entertain yet another Upwork horror story, current unfolding over at LanceBase. A once well-established Upwork freelancer was unjustly and improperly (illegally?) removed from Upwork for simply logging in while traveling. It’s quite a good read and it will be interesting to see how Upwork handles this. My upwork account has was suspended and I’ve been asked to write them a reason why I’m appealing their decision and I’m short of ideas . Can you be of help in this regard? Hi Tunde, the most important thing here is not to get into panic mode. Explain your side of the story, accept your mistake (if any) and show your commitment that it won’t happen again. That usually works if this is your first suspension. Now, I don’t know the whole story, like if there was a dispute with the client or you did something that Upwork doesn’t like such as agreeing to work outside Upwork, but most of the time the above works. One time a client wanted to use Basecamp and asked me if I was okay with that. Upwork suspended my account almost immediately. Luckily, they were just as fast reactivating it when I sent the appeal letter that same day. Hi , My upwork account has been suspended permanently by upwork . Now i want to delete this account and want to create another one. Please let me know, can i do it ?? I will creat new account with newinfo and email address. Is it possible to create new one ?? Thank you. Hi Mehedi. If your account has been suspended permanently as you say I’m afraid you can’t open a new account. As for creating one with a new info and email address, Upwork bans the IP address, so if they see that you were already registered under one account and now you’re creating another one with different info, they’re going to block that account as well. So I wouldn’t do that if I were you. Have you tried opening a ticket with Upwork support? I registered with the site in Upwork one year ago. It was blocked by the It side. Requests such as ports and digital photos. I am glad that I used this site. In addition, how about that site? I will appreciate it if you give me any advice. Sorry to hear about that. Upwork doesn’t allow multiple accounts on the same IP (computer). Have you tried from a different account and different PC? You can try to close or deactivate your current account. However, for that you first need to close all open contracts and proposals and make sure to take your money (you won’t be able to afterwards). Go to Accounts menu, click Settings and Contact Info and then Close My Account. Click the confirm button. From here, you can open a new account if you want. Why I use the platform is I want to coordinate with clients and freelancers. Regarding clients, I must look for them by myself. While, freelancers, I have been using Upwork and will use it from now on. the submission of a digital photo. I feel it very troublesome. However, my archives are reserved. 2.I discard my present account and register a new account. I never mention it against Upwork. 3.I will take another platform other than Upwork. >From here, you can open a new account if you want. Can you describe a little about it. I’ve been working on upwork back from when it’s Odesk. I have once published the best guide I use to get jobs there. Unless you want to have your account suspended one day for no reason and no explanation given. Sorry to hear you are having a bad experience with Upwork. This looks like a common problem these days. It used to be much better in the way it’s treating freelancers, but those days are long gone it seems. My account is suspended permanently. 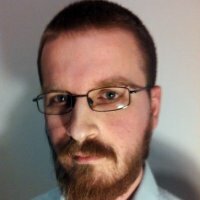 I got a job on upwork and I was working on first milestone. but my account is suspended. so I contacted upwork helper center and I UPLOAD MY ID CARD and BANK STATEMENT. But They said me my account is suspended permanently. They didn’t explain me the reason. Upwork rule and service are very BAD. Maybe they don’t want to join new upwork account! My upwork account is permanently suspended. I give them my all document’s but they are say that your document is not real. I lost my 1st client & also lost my 100$ Payment. I do my work but not get my payment. they close mt account. Upwork rules are very bad. This is a great read. Thank you for the detailed discussion……appreciate it! Such a very informative post. I have an Upwork account but unfortunately I don’t have any jobs from it until now. I signed in tha platform, but I haven’t studied the site and its rules, so your post is quite interesting for me. Thank you! Thanks for the post! I hope I can avoid this situation! very helpful. I shall share this information with other freelancers i know. I didnt know much about this subject till now, i am very clear. so thank you for this! Your insights on how not to get your account suspended makes me realize that upwork might be a great resource for freelancers. I’ll check it out this weekend to see if I can sign up. Thanks for letting us know which pitfalls to avoid. I really did not know anything about Upwork. I am not a freelancer myself but my sister is and I know she will really appreciate these tips. Well written article with relevant information as needed. Hey, thank you for this great post. I must say I wasn’t really educated on that subject so this Info is really great for me! It’s a shame that so many sites are offering services like this so you can earn legitimate money, but others seem to want to break the rules with spam / false profiles etc. If you just use it in the intended way you will have a very successful reputation online. I’ve never used this service before. Thanks for posting this tips. I’ll bookmark this should I decide to use it. I’ve been dipping my toe in the upwork world recently, so this is super helpful! You’re welcome. Good luck on Upwork. Just signed up for Upwork. good helpful tips! Thank you! I am using upwork. It is great to use upwork. Thanks! Helpful tips! As a freelance virtual assistant who is striving to succeed at freelancing, I will take this seriously. haven’t yet used upwork, shall keep in mind once i start doing it! Good lesson…All readers might get help from this writings. I’ve signed up for Upwork but haven’t actually tried getting work yet. Thanks for info! I’m not on upwork, yet because I have my own client pool. But I’ll be sure to note your tips if I ever join the platform. Glad you got it back! I heard that’s almost impossible once Upwork suspends you. sharing contact info… ??? really? people do that? Yeah, some do. I guess they think it will make it easier for the clients to reach them and increase their chance of getting a job. Of course, it doesn’t work as they predict. Thanks for the info. I’ve signed up for Upwork but haven’t actually tried getting work yet. I’ll definitely take these tips into consideration. It’s Very Useful and Informative. Very vital info from you. Thanks for sharing. Nothing needs to be said about spam, lol. I like your humour, in a serious post which addresss an important issue for freelancers such as yourself. Hey, if I start talking about spam, that’s easily another 300-500 words alone 🙂 I didn’t want it to take over the entire post. I had only recently looked into Upwork and was considering being a part of it; so this is great info for me!